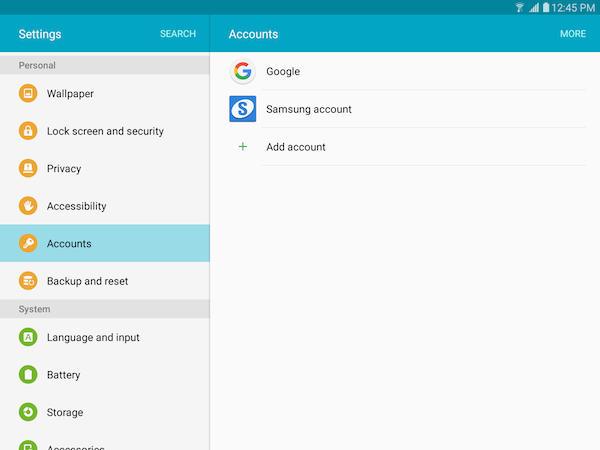 Galaxy Tab S2: How do I add a Samsung Account on my Samsung Galaxy Tab S2? 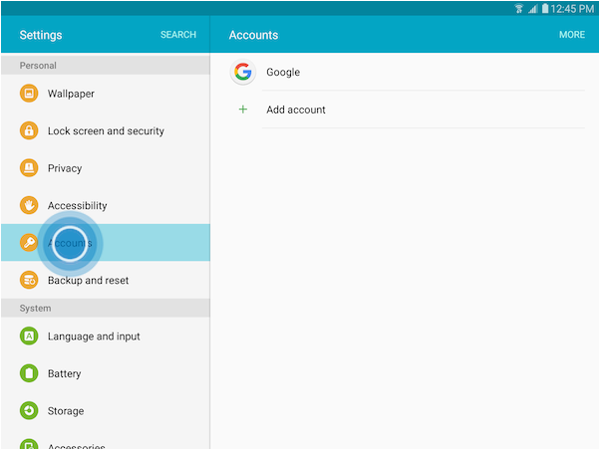 A Samsung account is required to access number of Samsung services on the device, and also provides additional backup and synchronization options. 3. 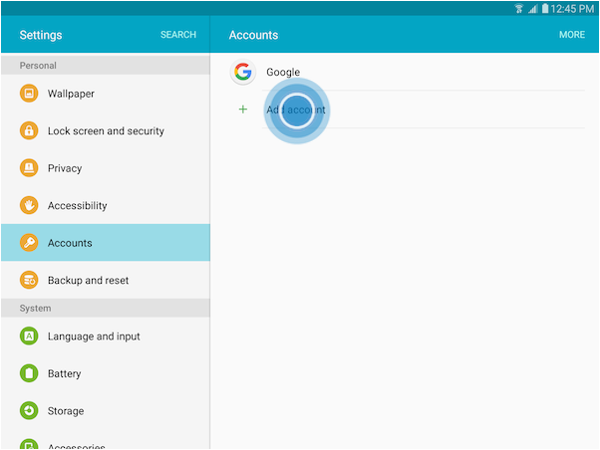 Scroll to and touch Accounts under the Personal tab. 5. Touch Samsung account . 6. 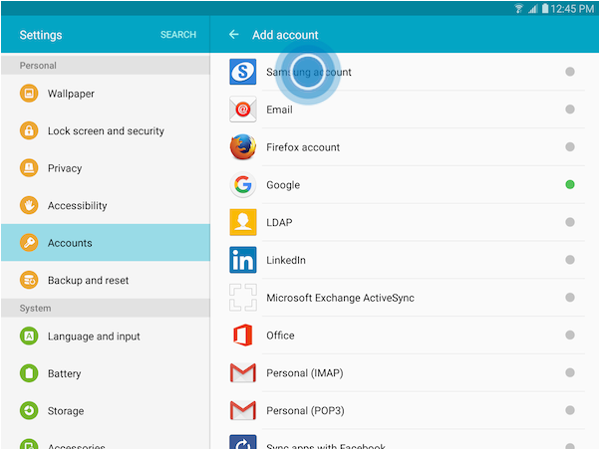 To log into an existing account, touch SIGN IN. 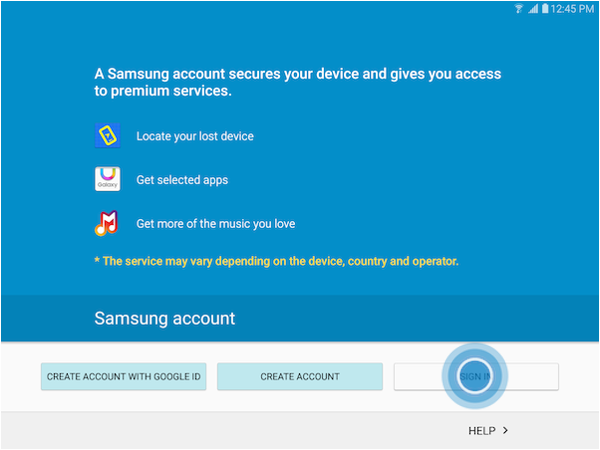 Note: To set up a new Samsung account, touch CREATE ACCOUNT and follow the prompts. 7. 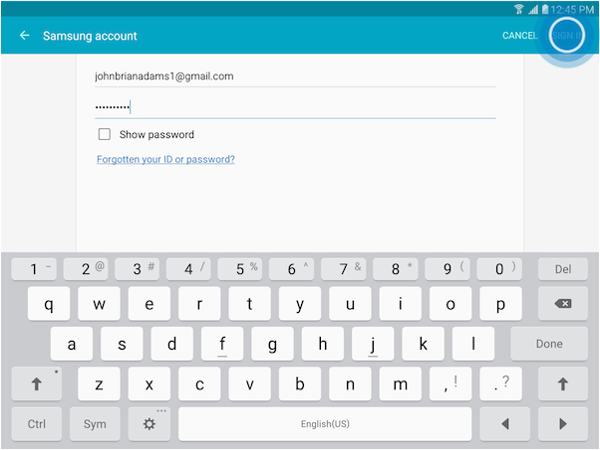 Enter the login information for the Samsung account, then touch SIGN IN. 8. The Samsung account is now set up.